Cutting Edge Sports Management, hosts of Dream Bowl Weekend, continues its celebration of football and Americana, by announcing the establishment of a new college all-star football event, the HBCU Spirit of America Bowl. Building off of the success of the Dream Bowl, which is now entering its fifth year, the HBCU Spirit of America Bowl, which will be played on January 15, 2017 in Virginia Beach, will feature 110 of the best players from all HBCU football programs across the country who play in all NCAA Divisions and in the NAIA. The fifth annual Dream Bowl Weekend will take place from January 12-16, 2017 in the Hampton Roads region of Virginia Beach and will feature two professional combines run by scouts from all pro football leagues; 2 Sports Award Banquets with featured keynote speakers; HBCU band performances; and the first-of-its-kind student athlete career services and job fair. 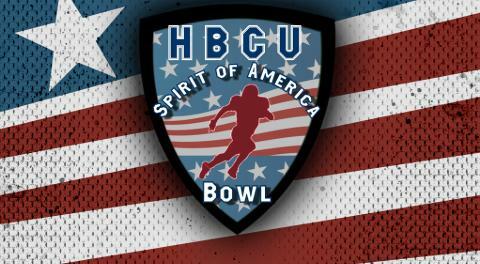 Please visit www.hbcusoabowl.com for more information and details. CESM through Dream Bowl Weekend will give athletes the chance to showcase their talents on a national stage as both all-star games will be broadcast on the American Sports Network with its reach along the Sinclair media network of over 50 million households. The audio feed will air nationally through Tune-in media. Corporate sponsorships are available for Dream Bowl Weekend, Dream Bowl V, and the HBCU Spirit of America Bowl. Contact CESM and its marketing partner ROI Sports Marketing Group to discuss these exciting opportunities. CESM is a full-service leader in sports management with areas of expertise in event planning, strategic marketing, business management, player development, and media relations. CESM creates innovative all-star event competitions at every level of sports. The CESM difference is to continue to revolutionize the sports industry with strategic partnerships and full service capabilities. With CESM, the athletes come first to maximize their potential and get them to the next level. ROI Sports Marketing Group is a full-service sports, entertainment, sponsorship, and media agency. Our executive team brings deep expertise in creating 360-degree marketing partnerships through: Sponsorship Packaging and Sales, Content Creation and Distribution, Platform Development and Activation strategy, and Sponsorship, Media, and Asset Valuation/ROI analytics.